Come learn about on and off campus job applications through the CSM! 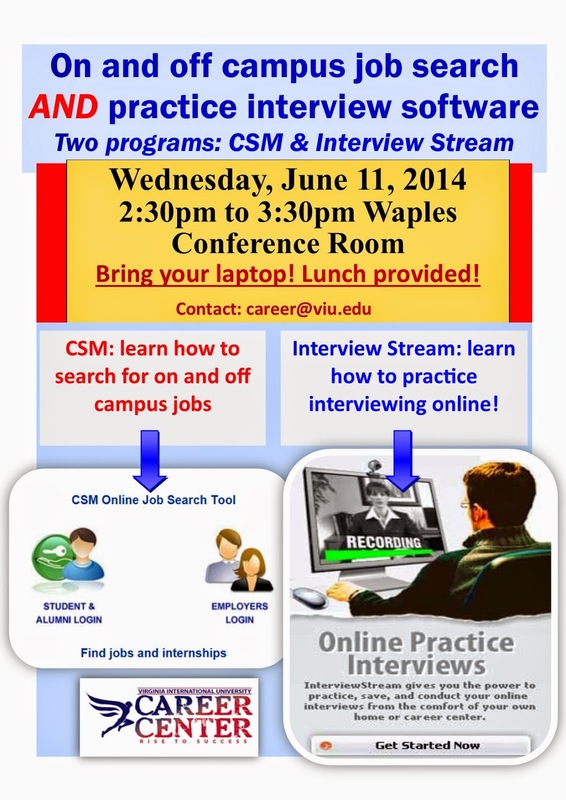 At this tutorial we will show you how to use two software programs a) the CSM so you can search and apply for on and off campus jobs and b) Interview Stream so you can learn common interview questions in your field and practice interviewing. You will also have an opportunity ask any career related questions.